SEAFDEC/AQD. (2011). 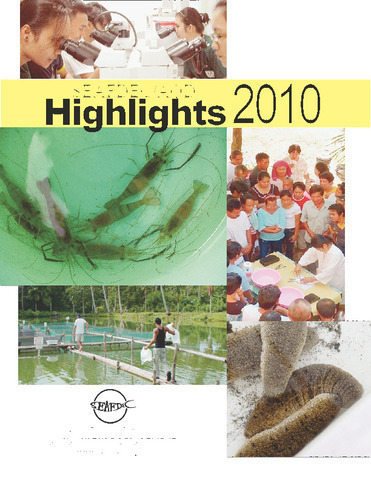 SEAFDEC/AQD highlights 2010. Tigbauan, Iloilo, Philippines: Aquaculture Department, Southeast Asian Fisheries Development Center.